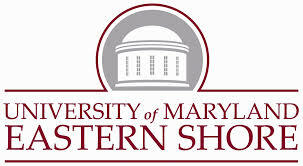 University of Maryland Eastern Shore is a four year, public university in East Adelphi, Maryland. UMES offers Bachelor’s degrees, Master’s degrees, and The Education Leadership Doctorate. UMES is fully accredited for accepting Veteran students and assisting them in their needs for certification. The University awards credit for any work done during the service related to their major field of study. The University of Maryland Eastern Shore (UMES), the State Historically Black 1890 Land-Grant Institution, is a teaching, research, and doctoral institution that nurtures and launches leaders in a student-centered environment, particularly from among ethnic minorities. Committed to providing high quality programs in an ethnically diverse environment, the University prepares students who will serve and shape the global economy. UMES is a growing, primarily residential university with learning, discovery, and engagement missions consistent with valuing the scholarship of faculty in discovering knowledge, disseminating new knowledge, and applying that knowledge to the extended community. The University recognizes its responsibility for developing human potential, enriching cultural expressions, and sharing its expertise with individuals, businesses, educational, governmental, and non-governmental organizations. The learning, discovery, and engagement foci are in accordance with UMES' legacy and mission as Maryland 1890 Land-Grant Institution. UMES is proud of its over 120 years of continuous educational service, initially under the aegis of the Methodist Church.